Dr. Laing's first purpose is to make madness and the process of going mad comprehensible. 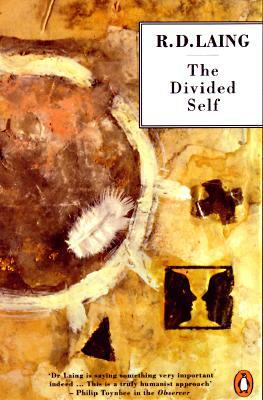 In this, with case studies of schizophrenic patients, he succeeds brilliantly, but he does more: through a vision of sanity and madness as 'degrees of conjunction and disjunction between two persons where the one is sane by common consent' he offers a rich existential analysis of personal alienation. The outsider, estranged from himself and society, cannot experience either himself or others as 'real'. He invents a false self and with it he confronts both the outside world and his own despair. The disintegration of his real self keeps pace with the growing unreality of his false self until, in the extremes of schizophrenic breakdown, the whole personality disintegrates. R.D. Laing, one of the best-known psychiatrists of modern times, was born in Glasgow in 1927 and graduated from Glasgow University as a doctor of medicine. In the 1960's he developed the argument that there may be a benefit in allowing acute mental and emotional turmoil in depth to go on and have its way, and that the outcome of such turmoil could have a positive value. He was the first to put such a stand to the test by establishing, with others, residences where persons could live and be free to let happen what will when the acute psychosis is given free rein, or where, at the very least, they receive no treatment they do not want. This work with the Philadelphia Association since 1964, together with his focus on disturbed and disturbing types of interaction in institutions, groups and families, has been both influential and continually controversial. R.D. Laing's writings range from books on social theory to verse, as well as numerous articles and reviews in scientific journals and the popular press. His publications are: The Divided Self, Self and Others, Interpersonal Perception (with H. Phillipson and A. Robin Lee), Reason and Violence (introduced by Jean-Paul Sartre), Sanity, Madness and the Family (with A. Esterson), The Politics of Experience and The Bird of Paradise, Knots, The Politics of the Family, The Facts of Life, Do You Love Me?, Conversations with Children, Sonnets, The Voice of Experience and Wisdom, Madness and Folly. R.D. Laing died in 1989. Anthony Clare, writing in the Guardian, said of him: "His major achievement was that he dragged the isolated and neglected inner world of the severely psychotic individual out of the back ward of the large gloomy mental hospital and on to the front pages of influential newspapers, journals and literary magazines . . . Everyone in contemporary psychiatry owes something to R.D. Laing." "Dr. Laing is saying something very important indeed. . . . This is a truly humanist approach." "It is a study that makes all other works I have read on schizophrenia seem fragmentary. . . . The author brings, through his vision and perception, that particular touch of genius which causes one to say Yes, I have always known that, why have I never thought of it before?'"